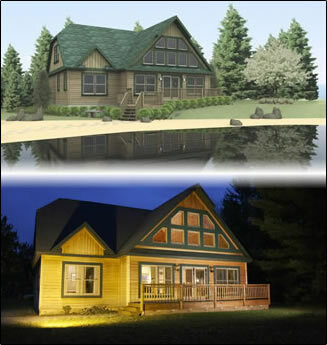 At Sweetwater Homes, we use 3D design software called “Chief Architect” as our architectural and design tool. During your visit with us, you will have the opportunity to sit down and “play” with all our floor plans. You will be able to alter any of our plans to better suit your needs and lifestyle. If you would like to enlarge a garage, add a porch or alter your kitchen layout, our software will allow you to make the desired changes in seconds and show you exactly what your ideas look like in lifelike 3D!